Book now for the best selection of West End vacation rentals in Galveston, Texas. 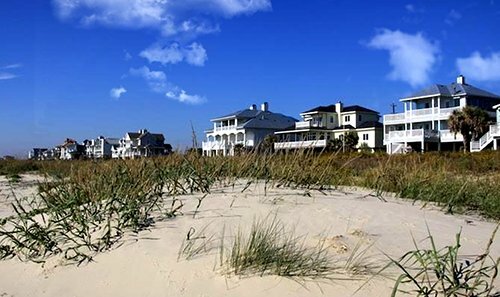 Sand `N Sea has Galveston beach rentals, beachfront, beachside, canal, bayfront, and pet friendly vacation homes available. Browse our vacation homes or call 409.797.5500, and speak with a Reservationist. We'll be happy to help you find your perfect island getaway. It's a great time to be on the island, so come down and enjoy wide, beautiful beaches and a Sand `N Sea vacation rental home. Looking for something different to rent for your next visit? We add new properties to our vacation rental inventory frequently. Also, check out our Frequently Asked Questions, All About Galveston and our Facebook page - you'll find plenty of information to help you get ready for your Island vacation! Ready to buy? Search for homes on our Galveston Real Estate search page or download our Real Estate app to view all local listings and open houses. Interested in a vacation home that will earn income when you're not using it? We have some great investment properties and can show you the rental history for many of them. Everyone deserves a beach vacation - including your dog! 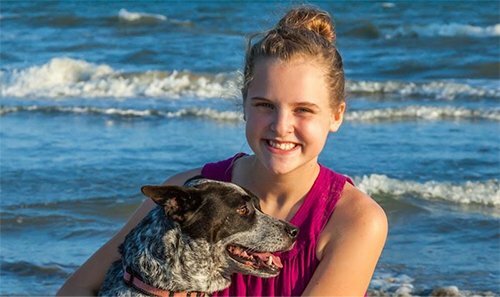 With over 50 pet friendly Galveston rental options, Sand `N Sea has a beach house your whole family will love. Stroll the beach, frolic in the waves & chase seagulls all afternoon. Plus, get a special gift for your V.I.P (very important pup) at check-in! Click below to find the perfect pet friendly vacation rental for your getaway. Nothing beats the panoramic Gulf views from a Sand `N Sea beachfront vacation rental! Sand `N Sea offers the best selection of beachfront vacation homes on Galveston Island’s West End, with all of the amenities you’re looking for. The sand, surf & sun are only steps away! Click below to find your perfect Galveston beachfront vacation rental.